Exmouth, Tue 26 July 2016. 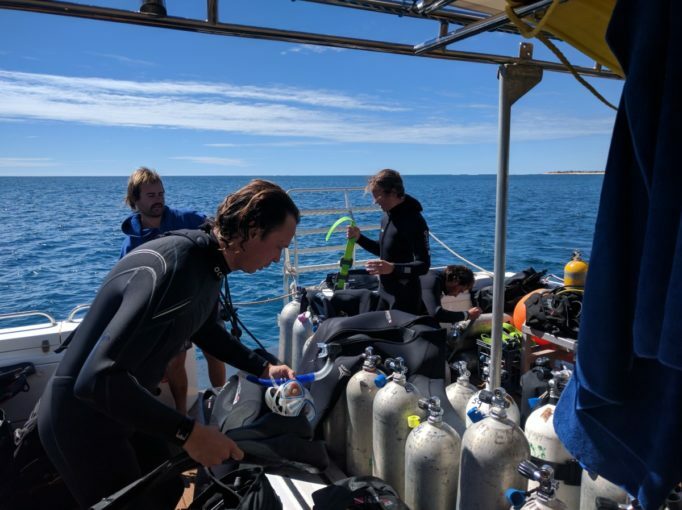 A visit to Ningaloo Reef between Coral Bay and Exmouth, 1200km north of Perth has been a long awaited must do. 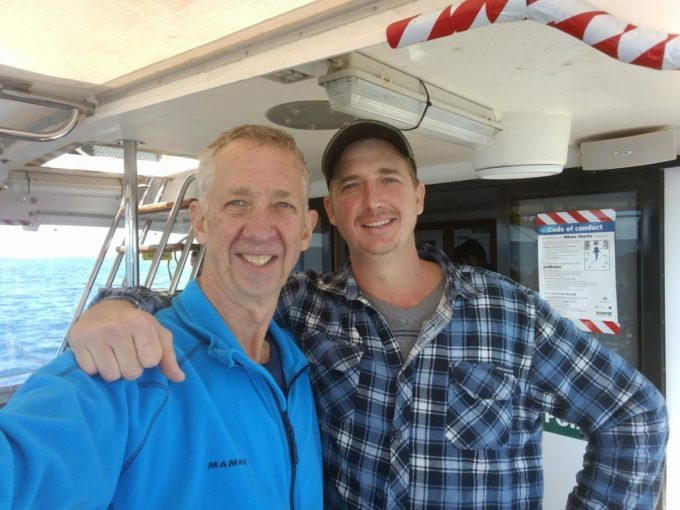 The highlight was a day’s scuba diving trip out of Exmouth with son Travis. While the sandy moonscape like seabed lacked any colourful coral, there was the sea life to make up for it. “At one” with all the abundance of sea life is one of the very enjoyable pleasures of diving. Swimming alongside a variety of fish or just choosing a friendly looking fish and following beside it to see where they go. My biggest surprise was still to come. It was our second dive for the day. We were at 10 metres depth. I could feel something on my back. But with the weightless effect I wasn’t sure. Maybe it was a huge fish I hadn’t noticed. Or perhaps something more sinister. I kept swimming but it seemed still attached to my back. My worst fears had started to take over. I looked up to see what it was. And there attached to my back, was something I had not expected, nor anything I had ever experienced on any previous dive. What I saw was somewhat of a shock. Instead of some wild sea creature, I discovered my son sitting on top of me gyrating his hands up and down in an underwater version of, “Giddey up horsey”! Good times. And you forgot to mention the age of your son! Still young enough to want to play Giddey up Horsey!